It’s no secret that Phil Ivey has been largely uninvolved in the live poker tournament scene over the last couple of years and lightly involved in the high stakes cash game scene. This is largely due to his legal matter surrounding a pair of edge sorting cases with the most damaging to him financially being the one in New Jersey. Presently, the Borgata Hotel Casino and Spa in Atlantic City has a $10.16 million judgment against Ivey and to date, they have been unsuccessful in collecting on that debt. The last we had heard on the matter, the Borgata was looking to get permission to seize his assets in Nevada to try and satisfy the debt. Recently, a US District Judge signed an order allowing the Borgata to docket Ivey’s judgment in Nevada, allowing them to pursue his assets there. However, it appears that the Borgata will have to fight to get the assets – at least those that they can find. According to an article published by Flushdraw.net, Borgata counsel filed a motion to docket Ivey’s $10 million judgment in Nevada. Per reports, Ivey does not have any assets in New Jersey outside of a bank account that has a zero balance. The order was signed a day later by US District Judge Noel L. Hillman, thereby allowing Borgata to go after Ivey’s assets. According to the order, it appears that counsel for Ivey and his accomplice did not bother to try and challenge the judgment from Borgata, allowing the judge to sign the order unamended. Now that the order is in place, Borgata can pursue legal means to try and seize any assets they can find of Ivey’s in Nevada, including both personal property and bank accounts. It is believed that Ivey has a net worth around $100 million, meaning that the judgment would represent about 10% of his net worth. 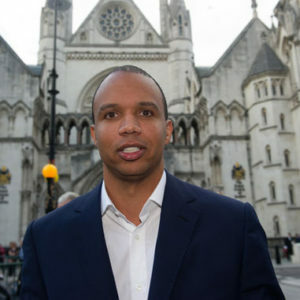 It’s largely known that Ivey and his partner have filed an appeal of the judgment, but it also appears that Ivey has not been complying with a request from Borgata and their counsel regarding his assets. As the Flushdraw article speculated, this could be one reason that the order was signed in Nevada, allowing Borgata to move forward with trying to acquire Ivey’s assets. The question now is how much of Ivey’s worth remains in the United States. As the Flushdraw report also pointed out, Ivey appears to have moved a sizable portion of his personal net worth outside of the United States. He has posted from his villa in Cabo San Lucas in Mexico in the past and it is well known that Ivey travels the world playing High Stakes cash games. It is unknown at this time how much cash or property that Ivey owns in Nevada, and specifically in Las Vegas. With the judgment now firmly in place, there is also the chance that any cash that Ivey has on deposit at banks and even casinos in the state are now subject to seizure. It also makes one wonder whether or not that Ivey will return to High Stakes cash game or tournament action in Las Vegas now that this judgment is in place in Nevada. Ivey played in quite a few tournaments last year, including multiple events during the 2019 World Series of Poker. Ivey still proved he has some game, winning a Short Deck Hold’em event at the Triton Super High Roller Series in Montenegro. He also finished 9th in the $50k Poker Players Championship and cashed in the 2018 WSOP Main Event. Unfortunately, with the recent legal developments, we may not see Ivey again in Las Vegas in any meaningful fashion until those matters are resolved.